MOSCOW, November 26. /TASS/. The Sunday incident involving Ukrainian navy ships was a very dangerous provocation on the part of Kiev, Russian Presidential Spokesman Dmitry Peskov told reporters. 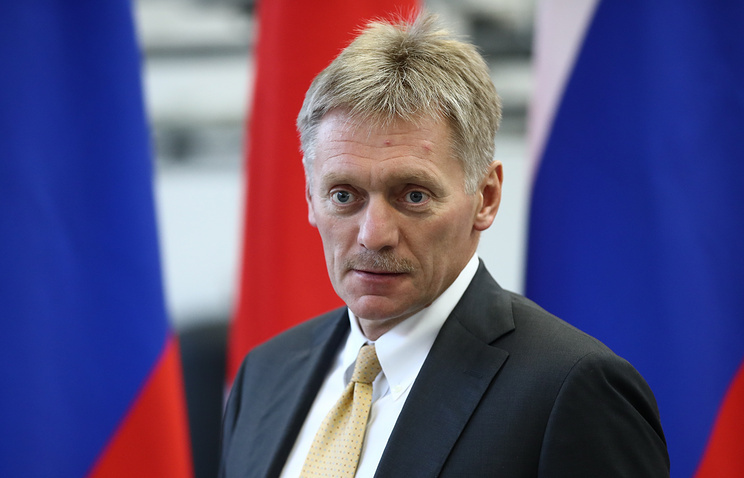 "This is a very dangerous provocation, which requires particular attention and a special investigation," Peskov said, commenting on the Kerch Strait incident. According to the Kremlin spokesman, the Russian Foreign Ministry is preparing an extensive statement concerning border violations by Ukrainian ships and the Kerch Strait incident. Peskov pointed out that the Border Service of the Russian Federal Security Service (FSB) had already issued a statement. He added that the United Nations Security Council would also discuss the incident at Russia’s initiative. According to the Russian Federal Security Service (FSB), on Sunday morning, three ships from the Ukrainian Navy - the Berdyansk, the Nikopol and the Yany Kapu - illegally crossed Russia’s border and tried to carry out some illegal actions in Russian territorial waters on Sunday night. They ignored legitimate demands to stop issued by vessels belonging to the FSB Border Service and the Black Sea Fleet and continued maneuvering dangerously. In order to stop the Ukrainian ships, weapons had to be used. The three vessels were detained in Russian territorial waters. Three Ukrainian military servicemen suffered light wounds and were provided with medical assistance. A criminal investigation has been opened into the border incident. 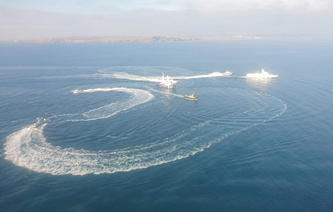 The FSB said that evidence proving Kiev’s plans to carry out a provocation in the Black Sea would soon be made public.